Bigg Boss 10 Winner 2016 name will be announced publicly in today’s big Boss 10 grand finale. Can you tell who will be the winner of Bigg Boss season 10 on January 29, 2017, evening? Everyone has started predicting the champion of India’s most controversial reality tv show hosted by Sultan star Salman Khan. In yesterday’s episode of BB10, there was a final task for the four finalists Manu Punjabi, Bani Judge, Manveer Gurjar, and Lopamudra. Big boss gave them two options either to stay in the show for the final race until the winner is declared or take the said amount and leave the house and race of becoming the next champion. In the task before the final episode, Manu decided to leave the house with the amount of Rs. 10 lakhs. He made a choice to quit the winning race keeping his popularity in comparison to other finalists Bani J and Manveer Gurjar. Moreover, Manveer and Bani have been rolling over social media as fan favorites. In a way, he made the right choice, and it can also be said that he lost confidence. 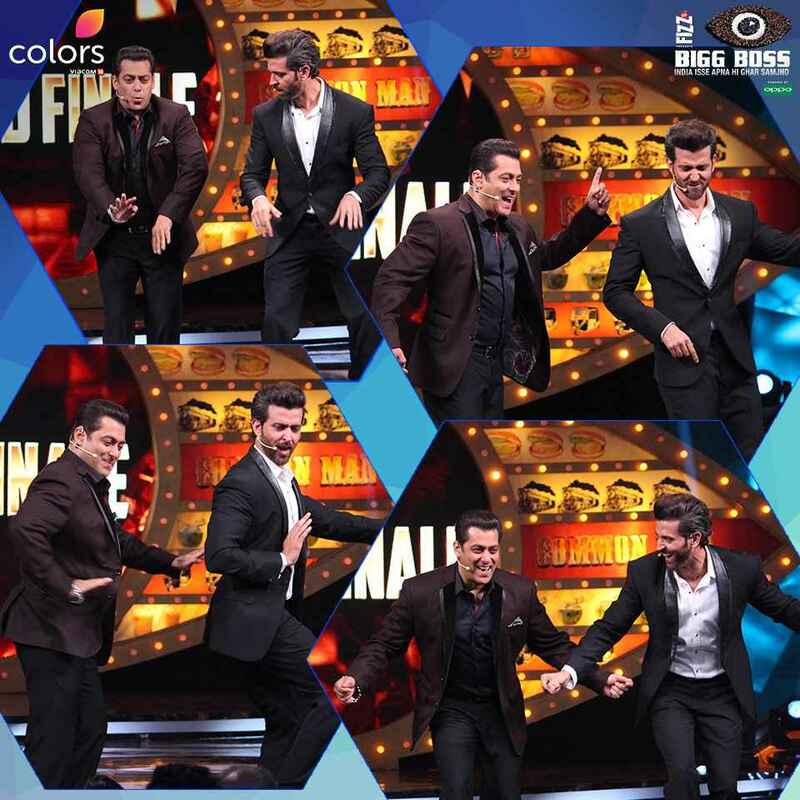 Today, in the big boss season 10 grand finale, the audience will get to watch Salman Khan and Hrithik Roshan presenting performances along with the top 3 finalists. The eliminated big boss 10 contestants will also be a part of the final night except for Swami Om who has been detained by the police. He will release after the BB10 finale has been aired. Hrithik Roshan will come along with his Kaabiil co-star Yami Gautam to promote their latest movie ‘Kabil.’ The film is getting a good word mouth as compared to Shahrukh Khan’s flick Raees. Both released on the same date made it the biggest Bollywood box office clash ever in the history. Both the guests will have some fun with Salman Khan. The winner will be public tonight. Let’s see if celebrities Bani or Lopa wins the show, or the tv show gets a turnaround, and commoner Manveer Gurjar lifts the trophy. It has become real interesting to watch out for. The buzz is that the bigg boss 2016 winner could be either Manveer or Bani. However, the official announcement will come in no time now. The people and websites predicted are split into two. Some are supporting Haryanvi commoner Manveer while others are sayings that Bani Judge has already won the show. The grand finale is of two parts. In the first half which aired yesterday, Manu was declared as the third runner-up after he decided to leave the race of winning the trophy. If reports are to be believed than Bani and Manveer are the clear favorites garnering the maximum percentage of votes. However, it is sure that Lopamudra Raut hasn’t got that many votes in her favor. Thus, it comes down to just the top 2 finalists. Like other people, some celebs like Kamal R Khan (season 3 contestant) and Ali Quli Mirza (season 8 participant) have shared their views on social media. KRK posted that Bani is the BB10 winner and he put stress on it. On the other hand, Ali posted the contrary and declared Manveer as the big boss winner of season 10. The rumors of Manveer being the champion are rolling out on the social media and various websites since Friday. They started even when the voting lines weren’t working. Is the bigg boss winner always fixed? The question arises at the end of every season. Manveer’s younger brother Sanjay Baisoya, however, rubbished the rumors and urged everyone to vote until the voting lines close. Various celebrities commented regarding the same. Gauahar, Ranvijay, Andy, Mandana, Gaurav, and Vindu supports Bani while Kamya, Kishwer, Prince, and Urvashi supports Manveer. Let’s see if a celebrity lifts the trophy this time too or an Indiawala changes the tradition. This is the question which only time and Salman Khan will answer. Stay tuned for more big boss 10 news. Next articleBigg Boss 10 Winner Name Revealed? Manveer Gujar (Manu) won the show !